At the Comerford Law Office, LLC, our VA-accredited lawyers can shoulder the legal burdens and application process. We can also fight for your rights if you are denied and need to appeal. Please contact our firm to set up a free consultation with an East Chicago Veterans’ attorney today. You may also find some background information useful. Medical conditions resulting from military service can be expensive to treat, and your situation can be even more challenging when you cannot work as a result. The Veterans’ Benefits Administration is intended to ease your financial stress, but the first threshold is qualifying for benefits. Eligibility Requirements: You must be a veteran who is suffering from a current medical condition that renders you disabled; however, there are additional qualification requirements. Your injury or illness must have occurred during service, and it needs to be directly related to your time in active duty. 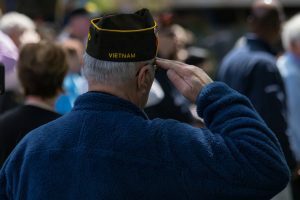 Benefits Available for Veterans: The amount you can receive as a disabled veteran depends upon your specific situation, but it is based upon your percentage of disability. Benefits are not subject to income tax and there is no offset for Social Security purposes. 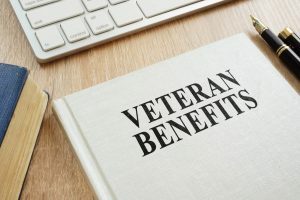 You are not required to hire a VA benefits lawyer when filing a Form 9 and other support documents to appeal a denied claim for disability benefits. However, there are a number of reasons you should strongly consider retaining legal counsel. Attorneys have experience with the process and are knowledgeable in the laws that are relevant to your circumstances. The regulations alone number in the thousands of pages, so you face an uphill battle in protecting your interests. Our legal team at the Comerford Law Office, LLC know the requirements to succeed with an appeal and can avoid unnecessary delays. When you are facing financial difficulties as a disabled veteran, you do not need to worry about paying a hefty retainer for legal representation. At the Comerford Law Office, LLC, our firm charges clients through a contingency arrangement, where you only pay if we win compensation in your case. Our fee is a percentage of the total amount you recover, and we will put the entire agreement in writing for you to sign. Once the VA approves your application and we subtract for our legal fees, we pay the remainder out to you as a lump sum. When you face a complex application process, potential denials, and other complications, you can see why it is important to have an experienced VA benefits lawyer to represent your interests. If you have questions or want to schedule a free appointment, please call 312.863.8572 to reach the Comerford Law Office, LLC. Attorney James Comerford is happy to review your situation and help you get the benefits you deserve.